Al Ahly winger Mido Gaber has rejoined Misr El-Makkasa on a three-and-a-half-year deal, both clubs have announced on Monday. 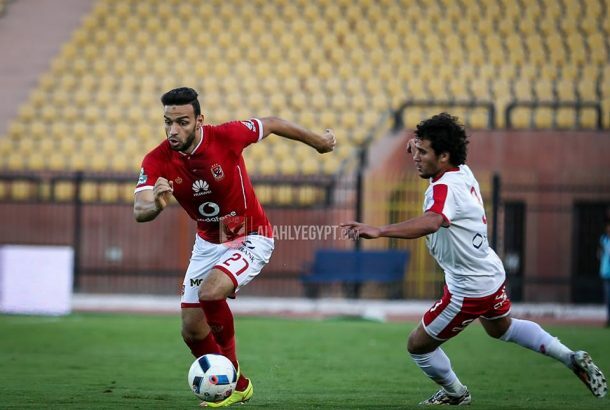 Gaber had joined in the summer of 2016 from El-Makkasa, and has gone on to make 44 appearances for the club, scoring four goals while assisting further four. During his time at the club, Gaber had managed to win two Egyptian Premier League titles, one Egypt Cup, and one Super Cup, as well as helping the team reach two CAF Champions League finals. The 26-year-old has agreed to return back to the Fayoum-based club after struggling for game time this season as he managed to feature only six games, including only three starts. Mido Gaber will now hope to replicate his old performances for Misr El-Makkasa, which saw him score five goals and provide nine in 31 games. El-Makkasa had already made four signings in the January transfer window, acquiring Shimelis Bekele, Khaled El Sheikh, Hossam Abdelwahed, and Ahmed Gamal. They currently sit fourth in the Egyptian Premier League table, 12 points behind league leaders Zamalek, who they will face on Wednesday, January 29.